Much has been made about the Kings retaining their first round draft picks in both 2017 and 2018 after going several years without one due to various trades. And while GM Rob Blake has been given credit – rightfully so – for putting a heavy emphasis on re-stocking the team’s prospect pool, let’s not forget one other item. There probably has not been a better team in the league over the past 10 years when it comes to plucking gems out of the middle rounds. 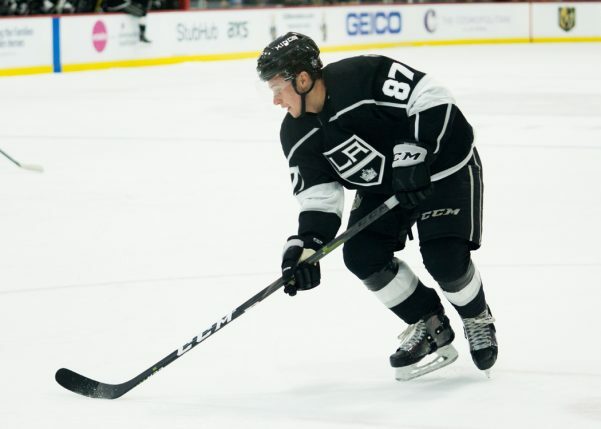 Will forward Aidan Dudas, selected by Los Angeles in the fourth round this past June, become the latest example of mid-round value achieved by the organization? The past year or so has been fairly memorable for the 18-year-old center. Dudas has been on a continuous run upward since winning a gold medal with Team Canada at the Ivan Hlinka Memorial Tournament in August 2017. He followed that up with a breakout second season in the OHL, posting 65 points in 68 regular season games with the Owen Sound Attack, placing him third on his team in scoring. Despite his seven points in 11 playoffs games, that club didn’t get as far as they wanted in the postseason. No problem for Dudas, though. He simply joined Canada again a few weeks later; this time at the Under-18 World Championship. Ah, yes, then he was drafted by the Kings in June – something that still really hasn’t set in.